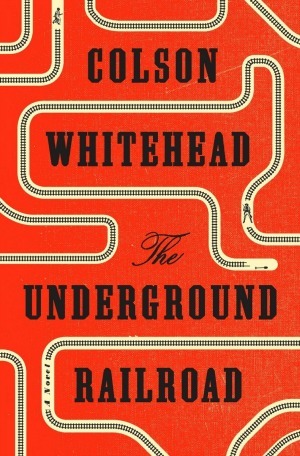 I’m not sure how I first heard about Colson Whitehead’s novel The Underground Railroad, but I did not receive it for reviewing purposes. Instead, when it was chosen as the next selection in a local book club in my new town, I thought it the perfect opportunity to read it on my own, outside of my reviewing reading responsibilities. I offer you my unsolicited review here for no other reason than because this book was remarkable. That description is just the beginning, for this epic novel places Cora in several different states and situations in her travels, each seemingly a different world with its own set of customs and approaches to the concept of slavery and its treatment of black people. Spoiler alert- none of them are actually safe, even if first impressions may indicate otherwise. The pacing of this novel alternates between heart-racing and stomach-churning to deceptively calm, and as a result, readers may be lulled into a false sense of security for Cora. But Whitehead’s devastatingly blunt depictions of Cora’s experiences give a realistic sense of the ever-present danger Cora and all slaves, runaway or not, were forced to live with. This is the history that must be acknowledged. As different characters are put under the spotlight in shorter sections of the narrative, a few different perspectives are given on the state of slavery. Common to the slave-catcher and other white people were statements about the concept of manifest destiny and the belief in an innate superiority of the white race over the Africans they saw only as imported goods and property. Whether this belief was fueled by religious sentiments or simply a sense of “fate,” it was clear that the status of Africans as slaves was meant to be– if they were meant to be free, they simply wouldn’t be in chains. It was admittedly difficult to read of this perspective during the week of the latest election cycle, for the parallels to racially-fueled hate crimes and destruction are undeniable. I leave you with this extended quote, as it stands out to me the most to describe the foundation of our country’s development. I urge you to read this book. It is inarguably a difficult story to read, and you’ll likely feel sick as you read it, but it is important beyond any measure. Cora had heard Michael recite the Declaration of Independence back on the Randall plantation many times, his voice drifting through the village like an angry phantom. She didn’t understand the words, most of them at any rate, but created equal was not lost on her. The white men who wrote it didn’t understand it either, if all men did not truly mean all men. Not if they snatched away what belonged to other people, whether it was something you could hold in your hand, like dirt, or something you could not, like freedom. The land she tilled and worked had been Indian land. She knew the white men bragged about the efficiency of the massacres, where they killed women and babies, and strangled their futures in the crib.